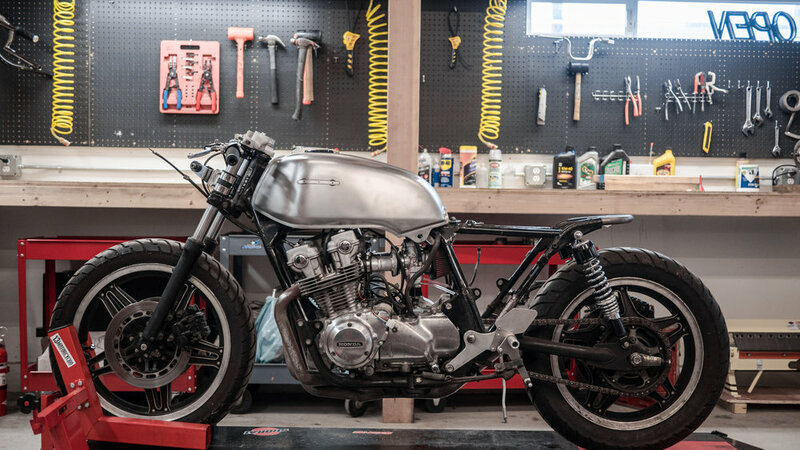 MotoShed specializes in Servicing, Restoring, and Customizing Vintage Motorcycles. MotoShed is owned and operated by John Lovin and Ritsushi "Richie" Miyazato. We don't wax too philosophic and get misty eyed, but we sure like old motorcycles. We focus on pre-1980’s Japanese, but we work on most anything old and carbureted. We have a soft spot for Sportsters and Ironheads and turn wrenches on modern Bonnevilles all the time. We do tires and oil changes on most bikes, but we try not to work on modern Sport Bikes with plastic fairings, it’s just not our thing. If our shop can't do what you need, we will gladly point you in the right direction. We are also fluent in Japanese! MotoShed also shares space with Larson Upholstery and The Wick Motorcycles and Coffee. MotoShed is a Full Service Motorcycle Shop - From full engine rebuilds to oil changes, we do it all. We are the original Vapor Blasting shop in Seattle and our work is proudly seen on old bikes around the city. We blast Marine, Automotive, and Aviation products too! Give us a call or stop by to see our work in person. We deal parts from all major manufacturers! 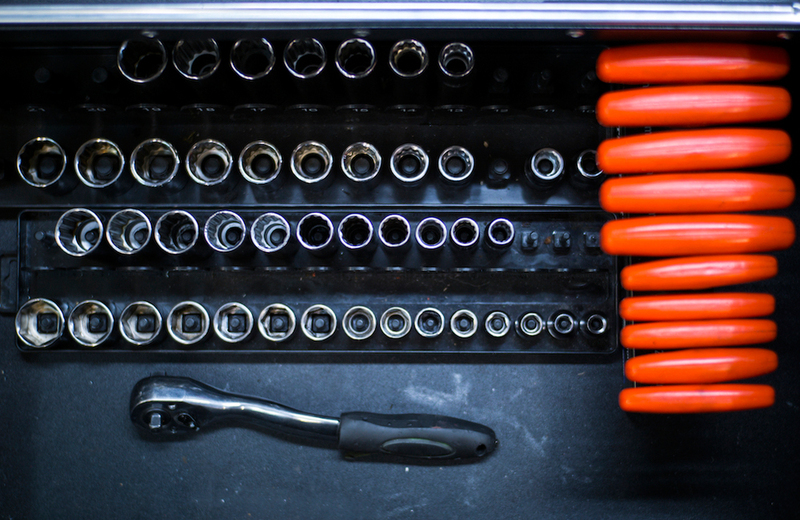 MotoShed focus on servicing, restoring, and tuning vintage bikes, but we also firmly believe in the DIY ethos. Doing your own work remains the principle of what our shop was Founded on. We are proud to serve the DIY crowd and enjoy watching projects get completed, big or small. Bring your bike by for a few hours to get some maintenance done or do that frame up restoration over the winter; whatever your project, we can assist. Pricing info below, but please note we don’t sell Memberships online or over the phone. We are Face-to-Face only. We will be spending a lot of time in the same active shop space, a fully functioning motorcycle shop, you should make sure our space is what you are looking for before spending money. $199/mo. - Unlimited hours, Bike off lift and leaves at end of day. $250/mo. - Unlimited hours and Store your project here!